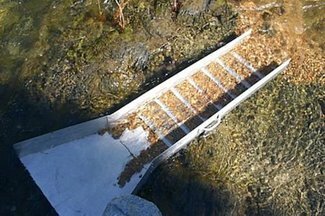 This is a legally registered, 40 acre gold Mining Claim for sale. the Saint Vrain Creek Gold #3. There is a large bend in the creek on this claim, making for an excellent gold catching area. Scroll down lower left on this listing to see larger pdf GPS corners map. 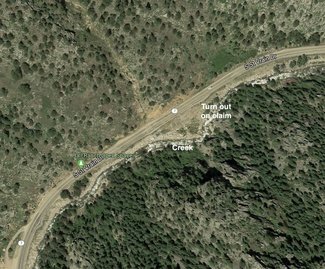 A turnoff area off the highway is on this claim for easy parking and creek access. Saint Vrain Creek has working mining claims up and down this highway, which was a great sign for us locating claims here. 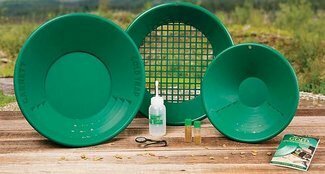 This is a valuable, gold prospecting area. Nearby are 2 very nice National Forest campgrounds, Peaceful Valley and Pawnee Campgrounds, with campsites, water, and toilets. Saint Vrain Creek is a tributary of the South Platte River, approximately 32.2 miles long, in north central Colorado in Boulder County. It drains part of the foothills north of Boulder and the Colorado Piedmont area in the vicinity of Longmont. Boulder was first populated by miners who flocked to the area when gold was discovered in Boulder Canyon. The citys beginning dates back to February 10, 1859, when a group of foresighted settlers organized the Boulder City Town Company. During the 19th century, several explorers, including Zebulon Pike, Stephan Long, and later John Fremont, were commissioned to explore the Boulder area. One of Fremont's men named William Gilpin, who later became the first governor of the Colorado Territory, reported that there was gold to be found in Boulder, sparking interest in an area formerly considered unfit for settlement. The settlement of Colorado was spawned by the lure of gold, due to an economic depression in the eastern United States during the 1850's. The first settlement in Boulder County was established at Red Rocks, now known as Settler's Park, by gold-seekers on October 17, 1858. One of the settlers, A.A. Brookfield, organized the Boulder City Town Company on February 10, 1859 from which Boulder City sprang to life. Just 6 miles NE is the very cool, mountain town of Lyons with great restaurants, bars and shops. and just 40 minutes north is the gateway to the Rocky Mountain National Park and the famous town of Estes Park. Nestled in the foothills of Northern Colorado, Lyons is known as the Double Gateway to the Rockies. From tubing and kayaking in the beautiful St. Vrain Creek right in the middle of town, to world class hiking, biking, and fishing, to old-fashioned community events, intimate summer concerts and internationally renowned music festivals at Planet Bluegrass. Known as the base camp for Rocky Mountain National Park, the mountain village ofEstes Parkoffers all the modern amenities you need with the mountain flare and hometown hospitality youre looking for. 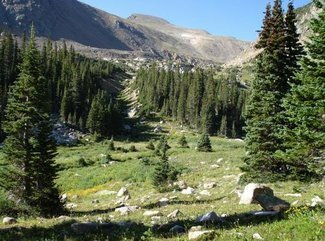 Estes Park has a reputation forunique wilderness activities, which means youll find the local experts, the right gear and theguided excursionsto get both the novice and the pro out exploring. 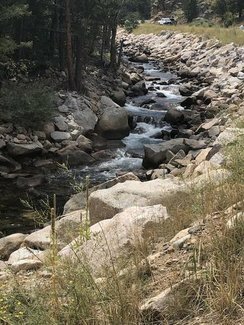 In the summer and fall, camping, hiking, cycling, rock climbing and water sports, such as stand-up paddle boarding and whitewater rafting, are available in Estes Park and nearby areas. 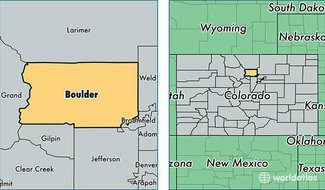 Boulder is a city of 100,000, elevation 5,400 feet (1650 meters), located thirty miles northwest of Denver. It's just under an hour's drive fromDenver International Airport, known here as DIA, though its official airport code is DEN. It's also an hour's drive toEstes Park, gateway toRocky Mountain National Park. Boulder is surrounded by a wonderful greenbelt with120 miles of trails. The front range of the Rocky Mountains rises on the west side of town. 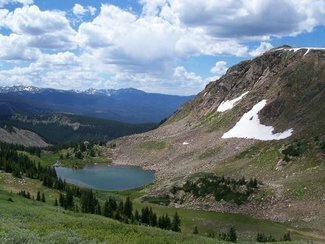 The Boulder County region is a paradise for hiking, cycling, rock climbing and almost every kind of outdoor activity. The weather is sunny and dry most of the time, and gets as much sunshine as San Diego. Winters are sunny and dry with occasional snow that melts quickly. 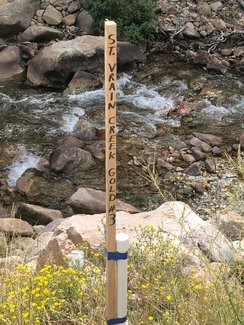 This is an historical area for gold prospecting on Saint Vrain Creek. This creek is all claimed up as especially locals know of the gold prospecting history of this creek. 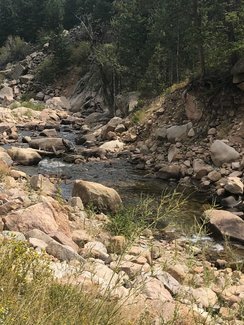 This is a 40 acre unpatented, gold mining placer claim, the Saint Vrain Creek Gold #3, with Saint Vrain Creek running thru the claim and is in Boulder County, Colorado, in the beautiful Rocky Mountains, and the Roosevelt National Forest. The claim is legally registered with the Bureau of Land Management out of Lakewood, and Boulder County. You own the mineral rights, not sharing with others, on the 40 acres, and use your 40 acres recreationally for camping and prospecting in an awesome, beautiful area. Paved road access all the way to the claim. Over a weekend, we gathered in and around the creek, approx. 1/4 of an ounce of gold, being worth about $300. As the BLM does not specify the amount of gold to be found to locate a claim other than gold needs to be discovered, we use this amount for a 40 acre claim as a projection of good gold potential. Someone with more time may find more. Gold prices are over $1200/ounce. Though we could never guarantee what you will find, we did locate this claim in an historically rich area for gold prospecting. Gold in just this past year has gone up over $100 per ounce. When you find your first 3 1/2 ounces, you will have paid for your claim. 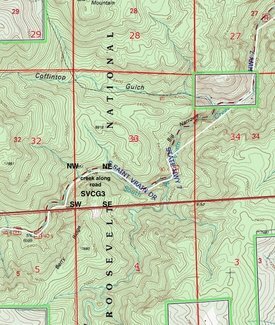 This claim has legal road access, on a county paved road, with nearby campgrounds, and gold discovered in surface prospecting. Your ownership is legally conveyed via a Quit Claim deed, and legally recorded with the BLM and Boulder County. A Quit Claim deed is the required legal document per the BLM. Each year, on or before September 1st, you need to file a simple form with the Bureau of Land Management, along with $310. By doing this, you keep the claim forever. Need 2 names on your deed. You must be a current US citizen with a US address to own a mining claim in the US. 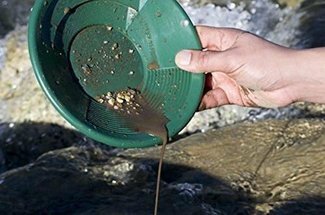 Mining claims are real property that you can buy, sell, or inherit. 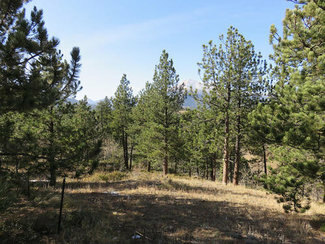 After proving the existence of valuable minerals on the land, the claim is legally recorded with the Bureau of Land Management and Boulder County. 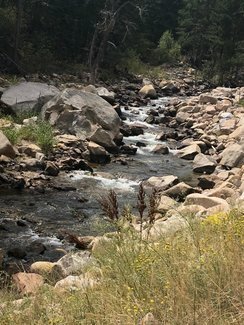 The Saint Vrain Creek Gold #3 is a gold placer mining claim, ideally situated on Saint Vrain Creek, surrounded by beautiful Rocky Mountain ranges. This is also an area for gem prospecting, and you have 40 acres to do so. Only 1 hour from Denver, paved road all the way to the claim. 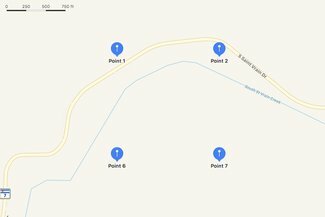 then using claim GPS coordinates below to the claim. About 6 miles from Lyons to the claim. The claim location monument has a 4 foot wooden post, and copy of Location Notice, as required by the State of Colorado. Year round Saint Vrain Creek on the claim for panning. Trout fishing in Saint Vrain Creek. Nice, nearby National Forest campgrounds. After receiving final monthly payment, your ownership of the 40 acre claim will be legally recorded with the local Bureau of Land Management and Boulder County. The quit claim deed is the correct document to be recorded for a mining claim, as stated by the BLM. This is not a sharing with others of your 40 acre claim.